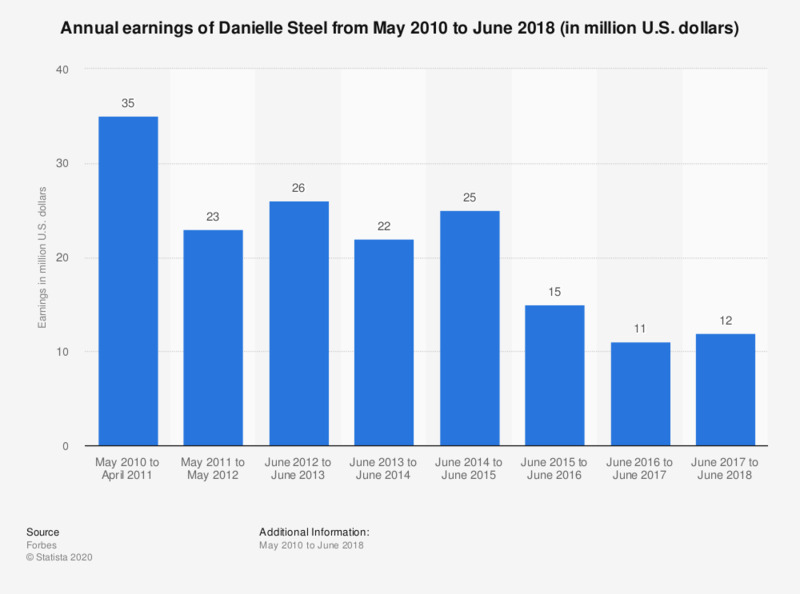 The statistic presents data on the annual earnings of Danielle Steel from May 2010 to June 2017. The author earned 12 million U.S. dollars in the period June 2017 to June 2018, up from 11 million a year earlier. How often do you watch any of these late night TV shows? Which group do you think is the greatest boy band of all time?